Salt melts ice quickly and keeps your walkways hazard-free. But ice-melting salt granules also stick to the bottoms of your shoes, where you track them into the house. Forget to remove your shoes or wipe your feet and you could end up tracking the salt across your hardwood floors, where it can leave white stains. Clean up the salt as soon as possible to avoid permanently damaging your wood floors. Salt can damage wood floors. Vacuum a dry floor to remove any remaining salt crystals, as well as dirt tracked in with the salt. 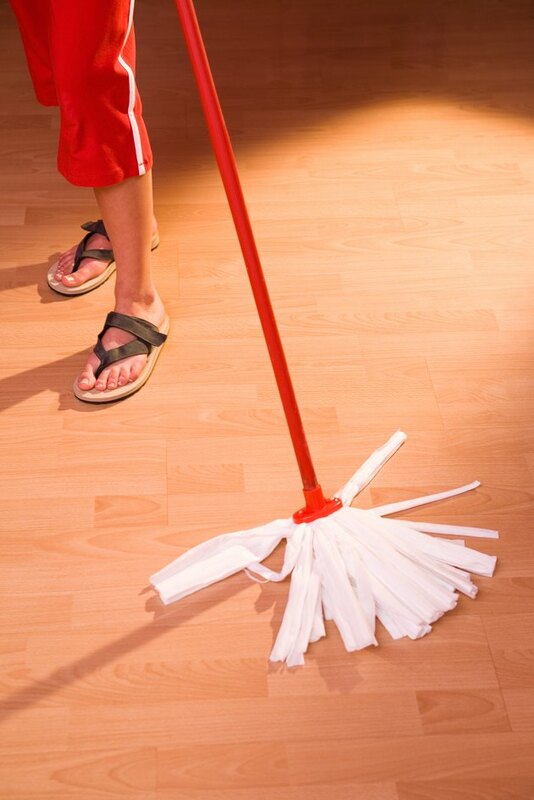 If the floor is still wet, mop up melted snow or ice with a dry towel or microfiber mop. Mix vinegar in a gallon of warm water. Transfer this solution to a spray bottle. Spray the stained area of the floor with the vinegar and water solution. Dampen the area, but don't soak it. Let it sit for several minutes. The vinegar and water will help re-dissolve the salt. Mop the floor with a dry towel or microfiber mop. Dampen a clean rag in clean water and wipe down the area to remove any traces of salt. Wipe with a dry towel.